The purpose of the Higher Education Loans Board of Kenya (HELB) is to help those looking to attend college or university, by providing financing in the form of affordable loans and scholarships. 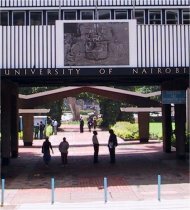 The Higher Education Loans Board of Kenya began in 1952, when the country was still under British colonial rule, and the government offered loans to anyone looking for schooling outside of East Africa (usually Britain, South Africa or the USA). It was called the Higher Education Loans Fund at this point. The majority of the financing was in the form of scholarships, but as more and more people sought education, the system was unable to keep up with the monetary needs. So the University Students Loans Scheme was put into place, to allow for loans rather than scholarships. It also expanded education opportunities to include schools in Nairobi. This plan wasn't very successful because many Kenyans didn't understand that the money was a loan needing to be repaid. And there was no legal power to pursue the defaulted loans. In 1995, the Higher Education Loans Board of Kenya was created by an act of Parliament. The Board now had the power to recover outstanding loans. At that time, a revolving fund was established to help improve the efficiency of financing. As more money is recovered from old loans, the fund grows to provide for new loans. Any surplus money can be invested to provide further income to the education fund. Due to ongoing financial constraints, the HELB can only assist those attending local Kenyan educational institutes rather than students hoping to study abroad. But scholarships are available for foreign schools, but they are offered through the Ministry of Education, not the HELB. Loans are available for undergraduate studies, as well as for postgraduate education as well. Loans for Masters and Doctorate studies are limited to 200 each year and they are awarded on academic merit, not monetary needs. Applications are accepted each year during the final calendar quarter, usually between October and December for the next academic year. Loans are to be repaid one year after studies are completed. The HELB has an up-to-date website that offers downloads of all relevant forms for applications. Students with outstanding loans can also use the website to check on loan and payments status.